We saw these in San Juan, Batangas. They were in tree with the Egrets. They were quite distinctive because they were the biggest birds in the area. It is listed as uncommon in the Guide to Philippine Birds but it is actually a bird we have encountered many times. One of the easiest places to view this bird is in Candaba. Length 1010mm (40"); Wingspan 1780 mm (70") Migrant- Uncommon Bird #60 - November 2008 We saw these in San Juan, Batangas. 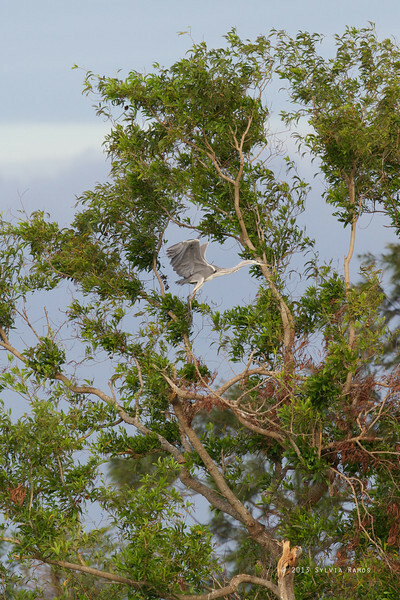 They were in tree with the Egrets. They were quite distinctive because they were the biggest birds in the area. It is listed as uncommon in the Guide to Philippine Birds but it is actually a bird we have encountered many times. One of the easiest places to view this bird is in Candaba.